Representatives from the party met with TV3 producers at Leinster House this afternoon. 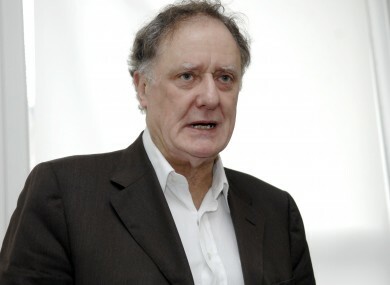 FINE GAEL HAS confirmed that it will not be putting forward any representatives for the constituency debates being organised by TV3′s Tonight with Vincent Browne programme. This evening, a party spokesperson confirmed to TheJournal.ie that the party will definitely not be taking part in the constituency debates following a meeting with TV3 producers at Leinster House this afternoon. The spokesperson said that the party did not feel the proposal being put forward by the programme differed substantially from what had already been proposed and rejected last week and said that it was still heavily focussed on an election which is theoretically 15 months away. The party had put forward proposals around holding thematic debate, on issues like education and the economy, but TV3 was not amenable to such an idea, the Fine Gael spokesperson said. A spokesperson for TV3 said that the station would not be making any comment on the party’s decision. Fine Gael suggested it would not send any representatives to appear on the programme last week because “there is no election” and because “it would not be appreciated by the public when the government still has a major job of work to do”. At that time, TV3 said it was “merely trying to provide an important public service for its viewers, at major cost, by highlighting constituency issues”. Meanwhile, a Labour spokesperson said earlier that it met with producers earlier this week but that while a proposed structure was being considered there were “a few significant concerns”. Sinn Féin is still in discussions with the broadcaster about future participation, having raised issues with the format in correspondence in recent days. ‘The People’s Debate with Vincent Browne’ is due to tour the country in the coming months and hold town hall style debates in each of the 40 Dáil constituencies. Email “We're out: Fine Gael confirms it won't take part in Vincent Browne debates ”. Feedback on “We're out: Fine Gael confirms it won't take part in Vincent Browne debates ”.